As we’re slowly approaching Criminal Minds season 15 on CBS, we are at the time where we have to speculate about what’s going to happen to each character in the finale season of the series! This is what this CarterMatt spotlight series is all about: Laying the groundwork for each story and asking key questions as to what could be coming up next. 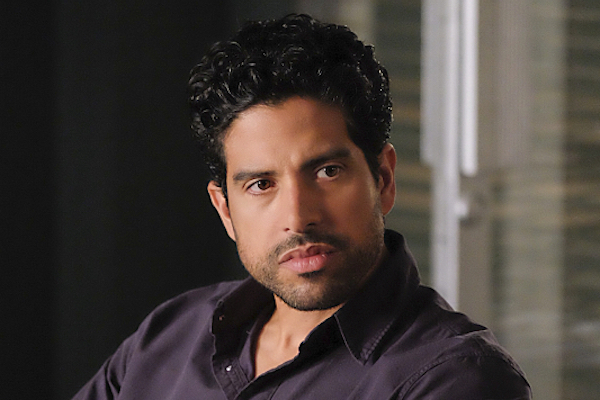 We’ve discussed already such characters as JJ, Reid, Prentiss, and Garcia — you can read about them over at the link here — and today, we’re honing in on one Luke Alvez. We have had a chance to get to know Luke over the past three seasons of the show, and there’s obviously a lot to cheer for with the character: He’s hard-working, tenacious, and resourceful. He knows how to solve problems out in the field, and he’s learned enough to know how to improve tense situations back at the office. Who else still remembers how rocky things started with him and Garcia back when he first showed up after Derek left the team? We’ve seen a little of his personal life and we’ve even had an episode titled after his first name — once you get that, we really like to think that you’ve officially had that Criminal Minds rite of passage. You’re officially a part of this world and embraced by all. Want some more Criminal Minds video coverage? Then check out some of our latest thoughts on that crazy season 14 finale below! Remember to subscribe to CarterMatt on YouTube for some other Criminal Minds scoop and also check out our official show playlist for anything you may have missed about the show. Now, let’s get to laying out some specifics to fully flesh out this man even more before the series comes to a close. 1. What’s happening with him and Lisa now? – Lisa wasn’t pictured at the wedding of Rossi and Krystall, though the idea was that she may be showing up a little later due to work. They may be all right for each other, but the issue with her as a love interest on this show is that because we know so little about her, it’s been hard to really get invested in this relationship. How can you root for someone when you know so very little about her? If they’re meant to be endgame for each other, we’d like to see a little more beyond the sporadic appearances. This was the same problem we had over on Hawaii Five-0 for a long time with Steve and Danny’s girlfriends that showed up once a year, but were no where to be found for the rest of the season or even when they would’ve been there 100% like when Danny was shot. 2. Explore things with Garcia – It doesn’t necessarily have to be romantic, but if things don’t work out with Lisa, we don’t really think that a lot of people would be opposed to this! We just feel like this is one of the most fascinating dynamics on the show in that the two of them started off in such a bad spot and grew to become close. We want to see even more of an emotional bond here so that their journey has more of that glorious full-circle feeling to it. We don’t want Luke to replace Morgan and we don’t think he does. Their bond is different and we live for it. 3. Give Luke some proper action-hero moments – Rodriguez is the sort of actor who you can really throw into a lot of rough-and-tumble moments like car chases or brutal fight scenes. Since this is the final season, why not go as big and bold with some of these as possible? One of the best ways to really get people talking is by pumping as much crazy into the show as humanly possible and that includes bringing some of the action and adrenaline to new heights. Put him in danger and let him figure his way out of it. 4. Does Luke want to be with the BAU forever? Compared with some other members of the team, he really hasn’t been a part of the unit all THAT long. Because of that, we can’t just look into a crystal ball and say “you’re going to be a part of this forever!”. We think that this place could be his home, but it wouldn’t be surprising if he wanted to try something else in his career too. 5. Give him at least one really outstanding dramatic scene – Maybe strand Luke in a scene where he has to talk down an UnSub, or have him dealing with the idea of his entire life falling apart. Get him vulnerable, throw him a curveball, or make him angry — it doesn’t matter what you do, so long as you find a way to really throw some emotional whammies at him. Some of our favorite performances from Rodriguez has been when he’s been vulnerable so we would love to see him take on more of that.